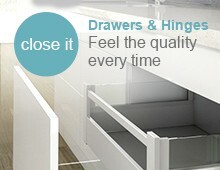 Hettich Drawers are used by the leading furniture manufacturers, due to their exceptional functionality. 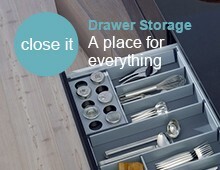 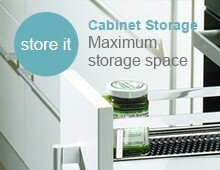 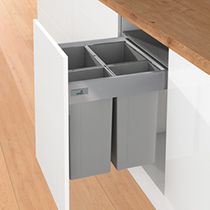 Cutlery drawers are regularly opened and closed, so you need to know the mechanisms are reliable. 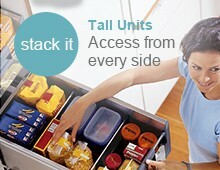 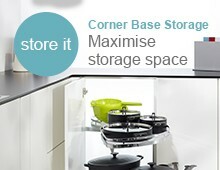 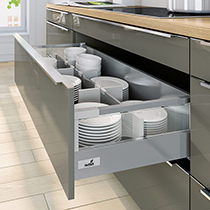 Equally, although wide storage/pan drawers may not be used as frequently, they will often be fully laden. 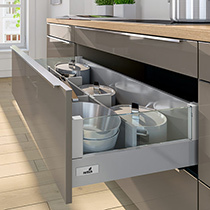 Quadro runners have proved to be more than ample for the task, even drawers laden with heavy pans or plates will open and close effortlessly. 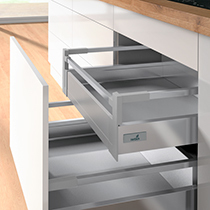 For bedrooms, they provide the ultimate in flexibility with a large range of drawer heights and widths, meaning you don’t need to compromise on style. 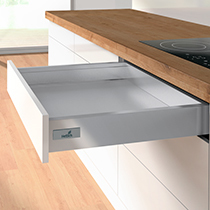 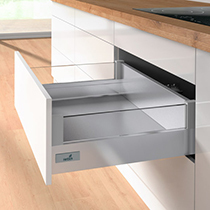 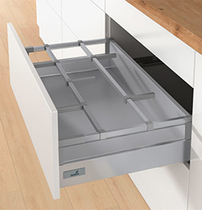 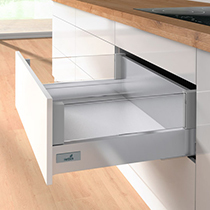 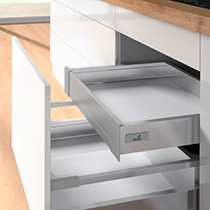 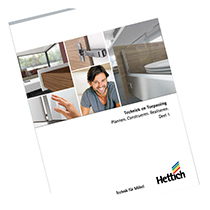 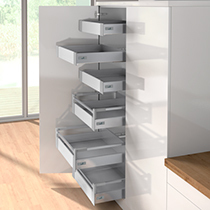 Complemented by a wide range of Hettich drawer accessories, organisation is made simple. 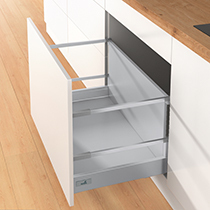 Runner Options; We supply full extension, silent soft close runners capable of carrying load capacities up to 30kg as standard. 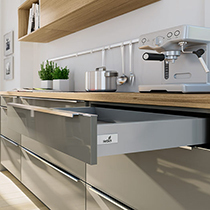 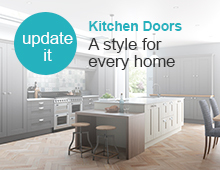 Alternatively, you can upgrade to handleless push to open runners, with all the functionality of the electrical systems, but without their associated wiring.